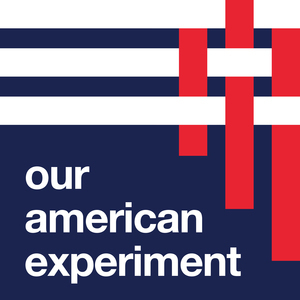 6 episodes of Our American Experiment since the first episode, which aired on January 2nd, 2018. In many ways, the life of Avik Roy was pretty predictable. He had gone to MIT, later Yale medical school, then he was investing in companies and making a lot of money. And then something happened: when he grew concerned about health care policies, he went in search of solutions only to find that he was the solution. How Avik Roy, son of Indian immigrants, is expanding economic opportunity for Americans who least have it by reinventing the traditional American think tank. Jeff and Laura Sandefer started Acton Academy eight years ago with the single goal of providing a learner-driven education for their two sons. What transpired was a global network of today’s most innovative schools. Jeff Sandefer tells the origin story of Acton Academy, shares lessons learned from experiments in education, and discusses how Acton inspires students to find a calling that will change the world. Doug Deason is an unlikely advocate for criminal justice reform: he is a wealthy investor based in Dallas who supported Donald Trump. However, a childhood adventure and a powerful speech by Charles Koch helped shape Doug into one of the most outspoken and active advocates. Mike Gallagher is the youngest member of the United States Congress. After nearly a decade of service in the military, Gallagher takes his 'deployment' mentality to Washington. Gallagher chats all things from how to disagree with Trump to tips on doing well in the Congressional office lottery.